**BEAUTIFUL 3 bedrooms, 2 bath townhouse in a Saddle Rock** Well maintained home with a formal living room, formal dining room, family room with a gas fireplace and a 1/2 bath with laundry area. Great kitchen layout with granite counter tops, stainless steel appliance, island and dining nook area. The upper level features a large master suite with a five-piece master bath and walk-in closet, two additional bedrooms and a full bath. Fully finished basement with bar great for entertaining and play area for the kids!! Enjoy a cup of coffee on the front porch and barbecue on the back patio and property was a 2 car detached garage. 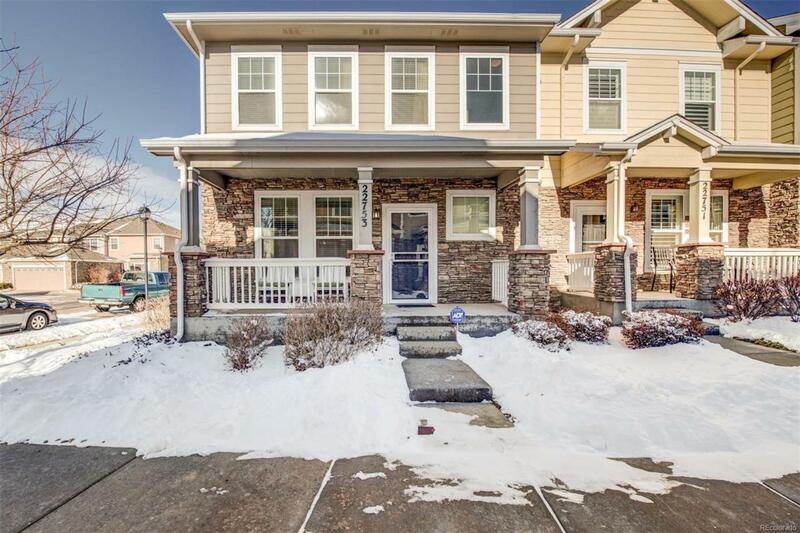 Home is located in the Cherry Creek School District, near Saddle Rock Golf Course and Cherry Creek Trail. Fantastic location with shopping centers and restaurants nearby!